DITTRICH & SCHLECHTRIEM, founded in 2011, is a partnership between Lars Dittrich and André Schlechtriem. 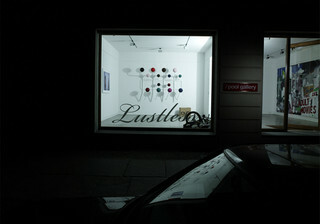 Lars Dittrich is an entrepreneur whose first gallery, pool gallery, opened in 2006 and represented artists that include Harald Hauswald, Andreas Mühe, Nicky Broekhuysen and Mercedes Helnwein, as well as executing interdisciplinary projects and special exhibitions with Parra, Henrik Vibskov, Mike Mills and others. André Schlechtriem studied Art History in Cologne, and in 2002 became curator of the Judith Rothschild Foundation Contemporary Drawing Collection, which then became part of MoMA's permanent collection. He then went on to open André Schlechtriem Contemporary in New York in 2005, and Schlechtriem Brothers in Berlin in 2008, exhibiting the likes of Maki Na Kamura, Edgar Leciejewski, Johannes Rochhausen, David Benjamin Sherry and Tom of Finland. DITTRICH & SCHLECHTRIEM strives to forward the careers of emerging and mid-career contemporary artists, many of whom are based in Berlin but whose origins and work span continents and media. Occupying two spaces in Berlin-Mitte, DITTRICH & SCHLECHTRIEM hosts ca. 16 exhibitions per year, as well as presenting gallery artists' work at art fairs around the world.